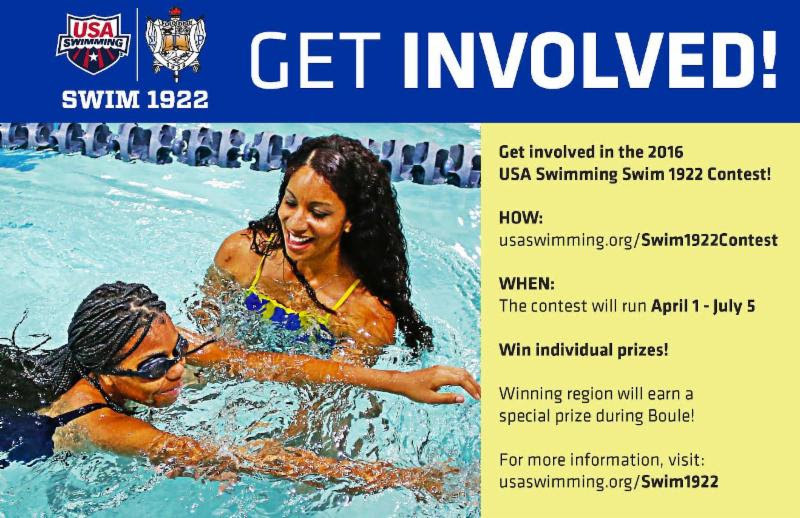 The Swim 1922 contest is part of the first National Pan-Hellenic Council partnership between USA Swimming and Sigma Gamma Rho Sorority, Incorporated and this is a tremendous opportunity for members of Sigma Gamma Rho to engage their local communities with swimming programming. Through this partnership, both organizations hope to increase swim participation within the African American community. The contest will run April 1, 2016 – July 5, 2016. STEP TWO: Begin to log your progress. Each week will be considered a “lap” and the weekly top contributor for each of the 9 laps will received a Swim 1922 prize. 1. You must be a member, Philo or Rhoer of Sigma Gamma Rho Sorority Incorporated in order to earn points for yourself and your region. 2. You are responsible for signing up and logging your own points during the contest. 3. USA Swimming will host a special celebratory event during Boule for the region with the most points at the end of the contest. 4. All information should be verifiable upon request. This entry was posted in Philos, Rhoers, Service and tagged Swim1922 on April 10, 2016 by EXSAlumnae.